With a variety of surfaces built for any purpose, including facades, flooring, and countertops, Neolith provides high quality, versatile materials fit for every room of the house. The right building materials impact the outcome of a project perhaps more than any other factor. 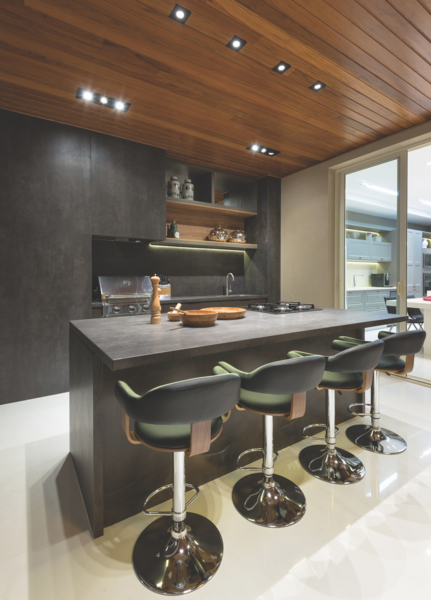 From countertops, to flooring, paneling, and facades, these surfaces determine not only the look and feel of your home, but how you interact with it. For this reason, selecting high-quality surfaces is crucial. 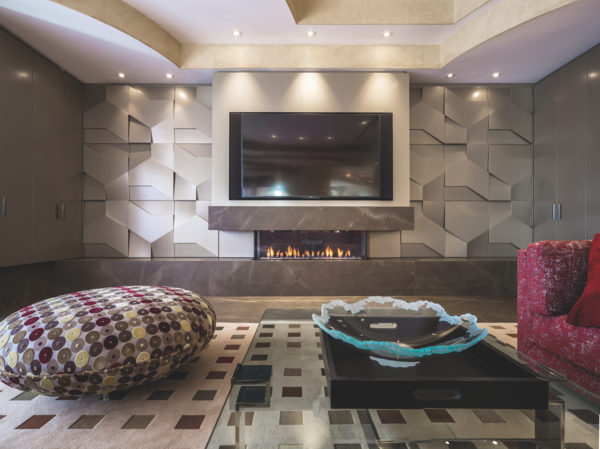 Many materials, such as granite, marble, and concrete—increasingly popular in modern construction—are heavy and porous. They can be difficult to cut and install, and they can be prohibitively expensive. 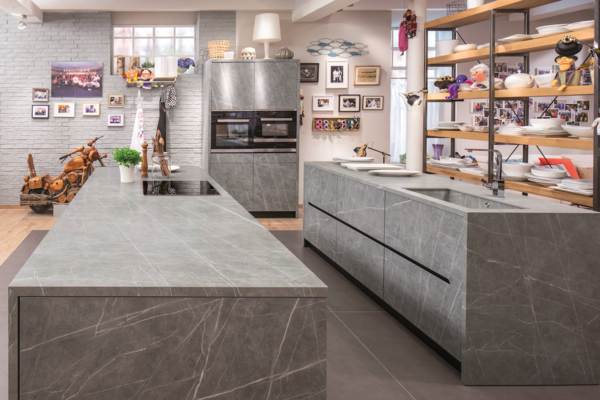 With its durable, lightweight material and seemingly endless variety of styles, surfacing brand Neolith, a Castellón, Spain, based company, is revolutionizing the building process by creating ultra compact sintered stone surfaces. 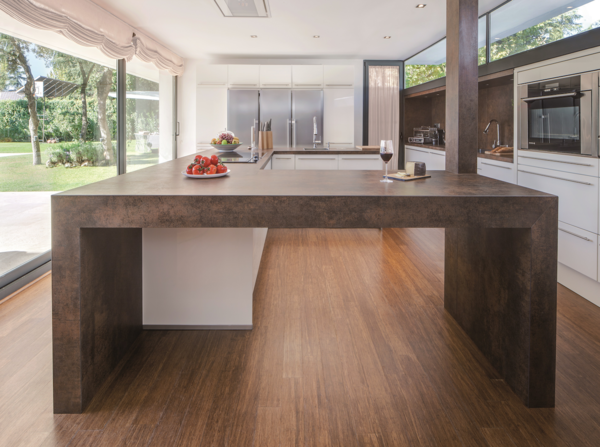 Made from all-natural materials, this durable surfacing can be used for countertops, floors, interior and exterior cladding, and even cabinetry. 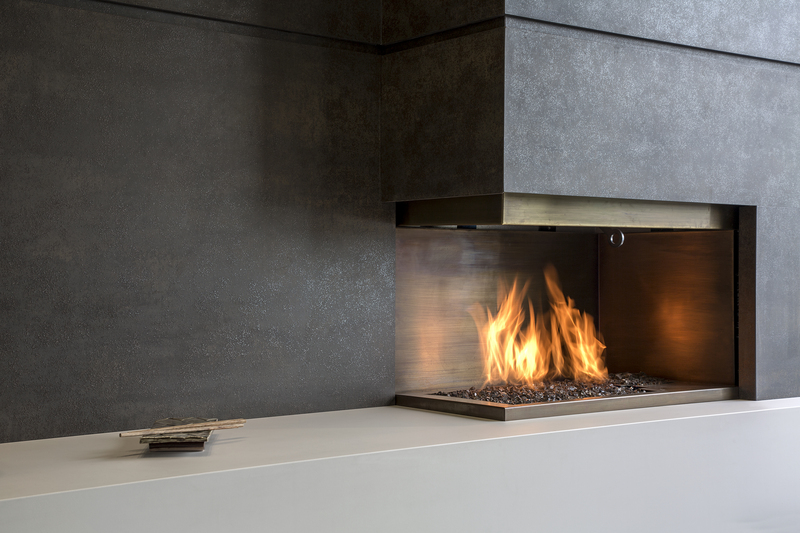 Founded in 2009, the Neolith material, manufactured by parent-company TheSize Surfaces, is lightweight, resistant to heat, scratch resistant, easy to clean, durable, as well as 100% natural and recyclable. The company found that they could fashion the material into large slabs at various thicknesses—a huge benefit to contractors and homeowners, alike—and mimic the look and feel of hundreds of other materials, creating surfaces that look beautiful and stand the test of time. When selecting a material for surfaces in your home, a lot of factors come into play. Weight and thickness play a large role. 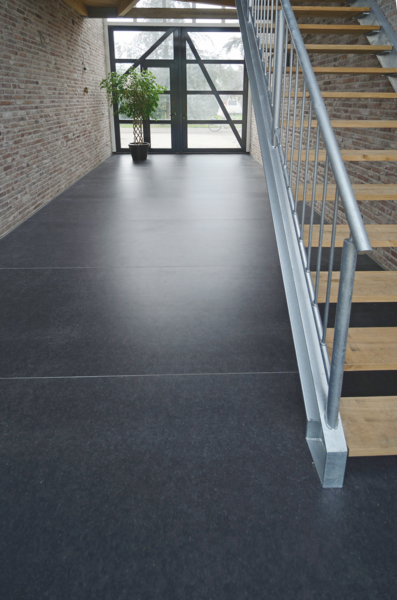 Neolith’s various thicknesses are each intentionally created for different locations. 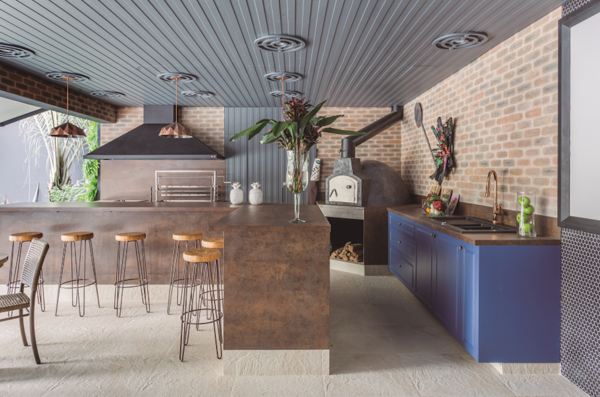 “The slimmer ⅛-inch slab is ideal for cabinetry and veneering, as well as interior cladding,” explains Mar Esteve, Neolith’s director of marketing. “It can be applied directly on an existing surface.” A ¼-inch thickness is more suited for flooring, and ½-inch is best for countertops. Other materials can be very difficult to find or cut to these specific size options, and can also be very heavy, making them more costly to work with. Of course, one of the most important things to consider when selecting surface materials is how they look. So often, people select a material that can be hard to work with because they love the way it looks in their space. 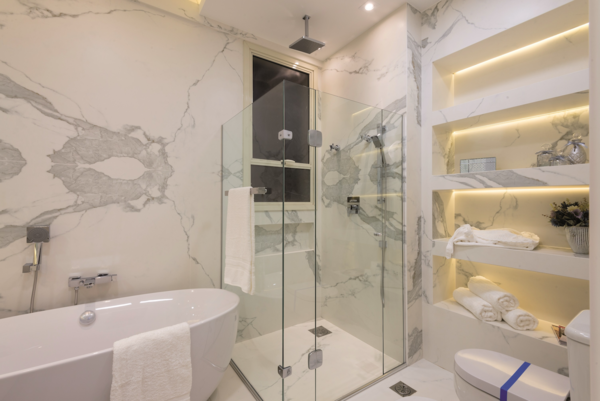 Amazingly, Neolith’s technology has enabled the company to replicate almost any type of material—including marble, concrete, iron, wood, and textiles. “Our design is second to none,” says Esteve. 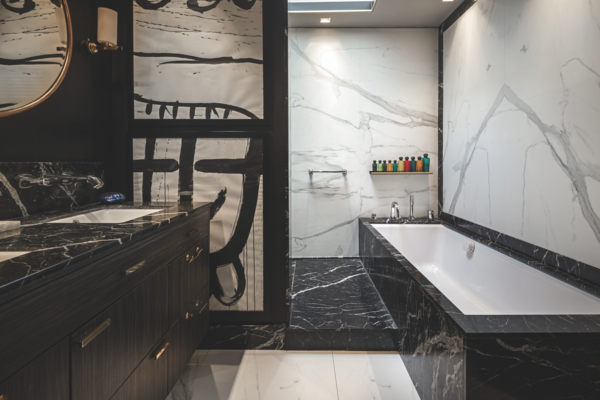 “We go to natural stone trade shows, and the degree of realism of our marble and natural stone designs are superior to what you see on the market.” Their selection is inspiring, and mimics the look and feel of various materials perfectly. 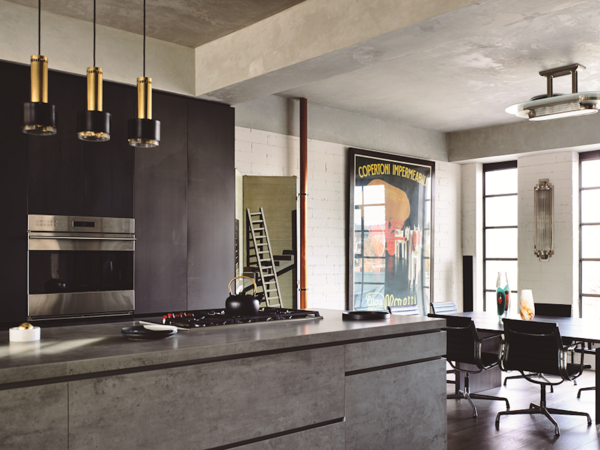 But with Neolith’s durability, these beautiful surfaces are far more livable than their counterparts. Often, working with large, heavy materials such as stone and wood means having little control over the size and shape of the slab. It can be difficult to work with many materials in a large format. 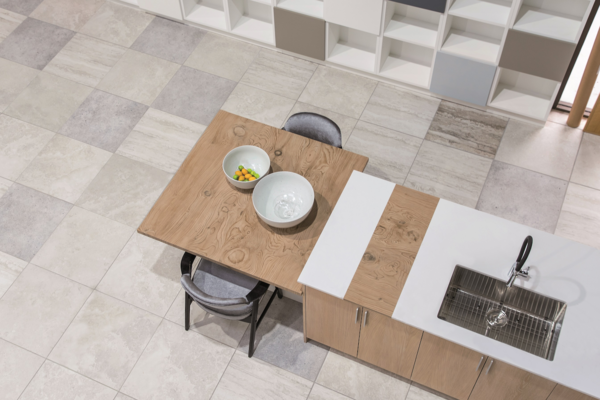 Neolith’s materials come in large sizes and allow designers to reduce the number of seams and joints on a surface. This allows for continuity, even on surfaces that run from floor to ceiling, without obvious seam lines. While this is aesthetically pleasing, it is also more hygienic, as seams tend to trap dirt and bacteria. It also enables architects and designers to build as they like, unencumbered by the constraints of various other materials. For example, getting a large enough slab of marble for a kitchen countertop can be difficult and often very expensive. But Neolith surfaces are cut to size. The company has also developed technology enabling fabricators to place two pieces together while making it look like one piece, erasing any trace of a seam. This becomes helpful for contractors during installation, avoiding the hassle of maneuvering an over-sized piece of material, which in the case of other surfaces may require a crane to get it into the building. 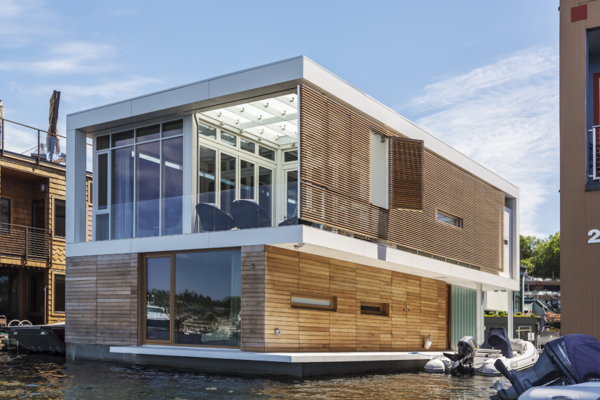 In modern construction, material options have become more beautiful and design-oriented than ever. Homes are a personal space which reflect individual styles. Beautifying these spaces without losing performance is crucial. Trends are leaning toward monolithic islands with matching cabinetry, a very clean, modern, and luxurious look. Versatility is of the utmost importance when keeping up with these types of trends, and luckily, Neolith offers options that cover all the bases, from durability, to versatility, to beautiful, modern design options. 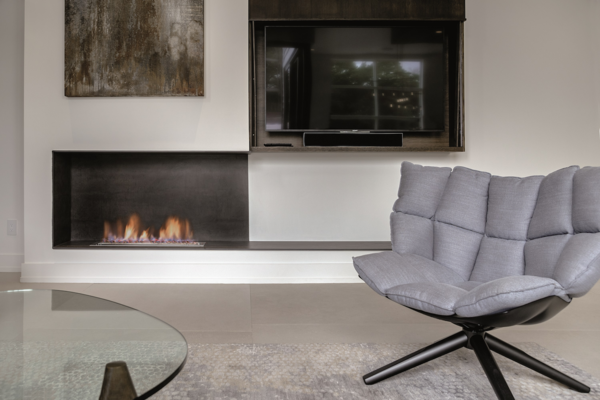 Whether designing a new home or renovating your current one, choosing strong, versatile, and beautiful surface materials sets the tone for an elegant and functional space that will endure the test of time.